This box design came to Melissa in a dream (honest). 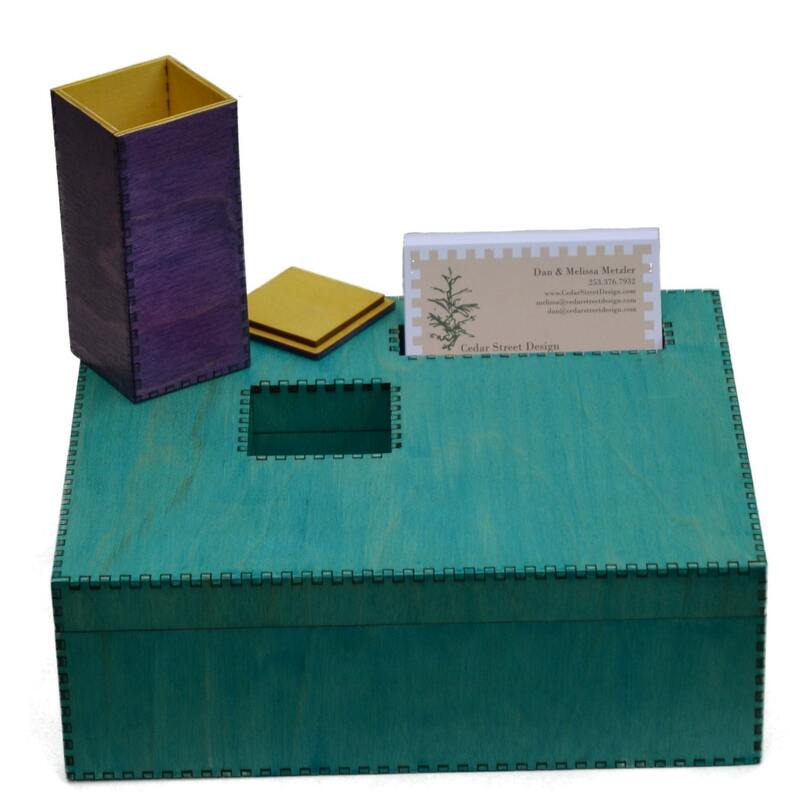 This compact colorful desk top organizer has a compartment for everything and a place to show your business cards on top. 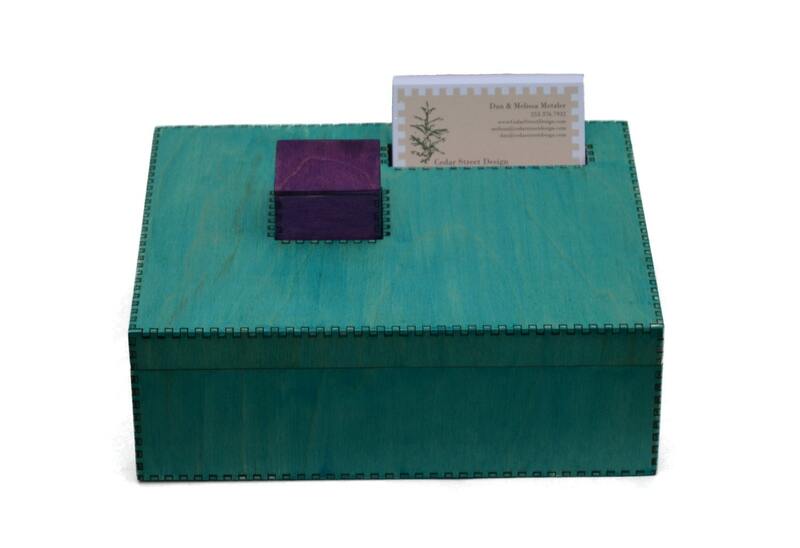 This sturdy box has a dream like quality that will leave visitors to your desk wondering if you might be more sophisticated then they thought. 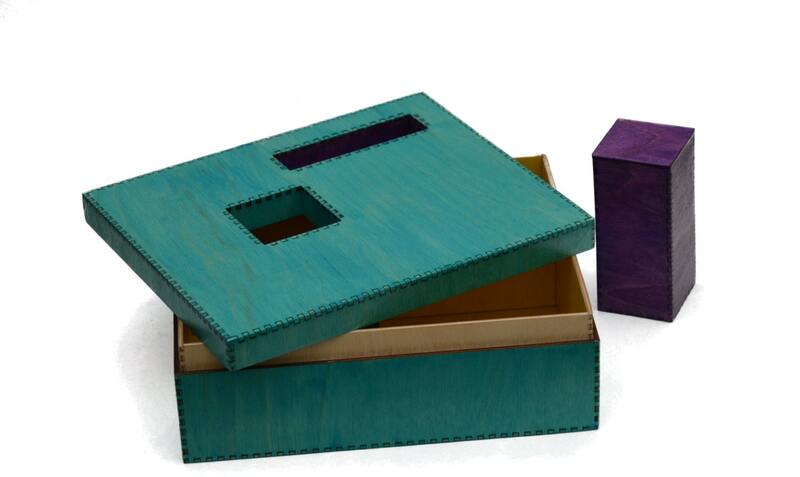 We already know you're sophisticated; that's why we're offering this box to you. There is a compartment for everything with perhaps an extra for some chocolates! 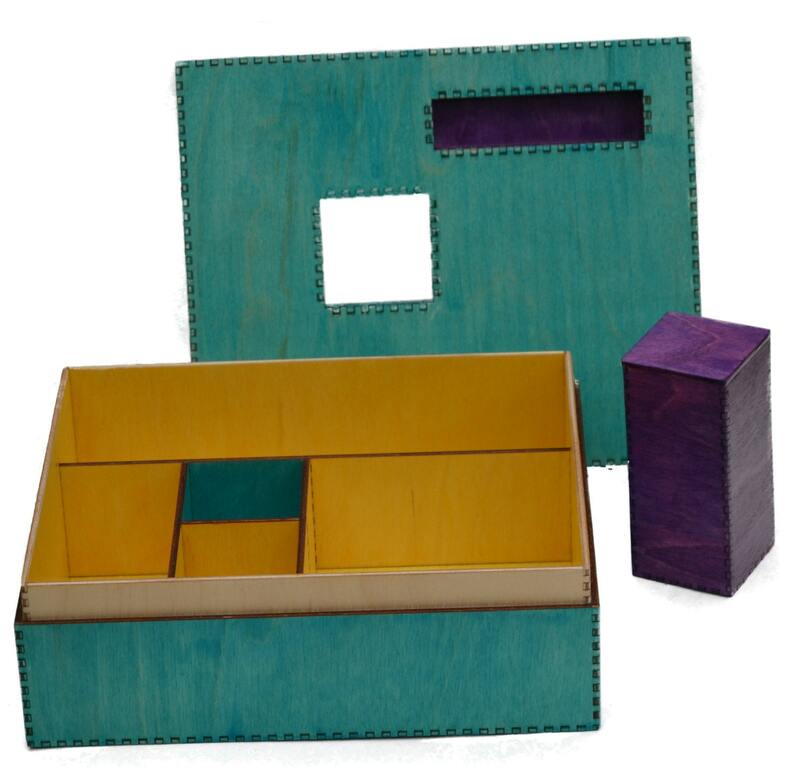 There are four compartments in the box with one large enough for pens and pencils. A removable second box sits within the main box. Surreal desk top fun! Wood is dyed and sealed with acrylic glaze.